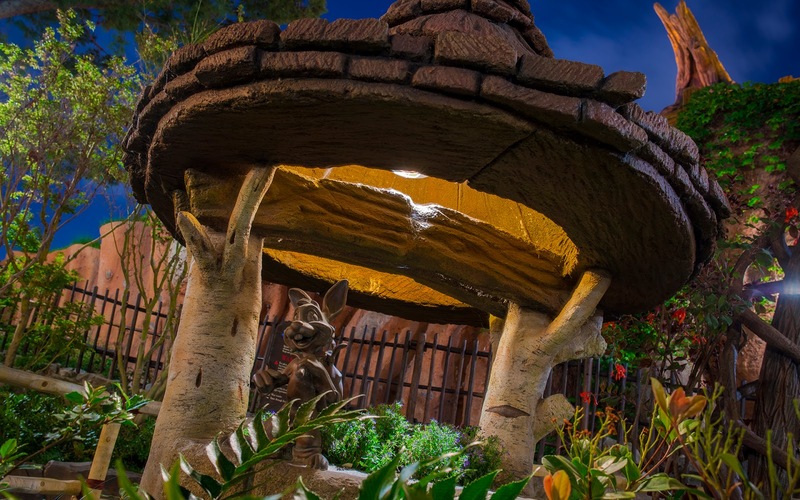 Along the way to the entrance of Splash Mountain, there's a charming little well that features a carving of Brer Rabbit sauntering along to his Laughing Place. It's a wonderful little detail that many people may overlook. As such, it's a pleasant surprise for those who notice it. And it's appropriate that this is associated with Brer Rabbit, because as followers if his adventure know, all's well that ends well. ...I'll let myself out after you finish groaning.